The Medallion collection comes in solid wood or premium vinyl. Choose from a selection of 3D carved stain-grade wood or white vinyl medallions to suit your style and home. 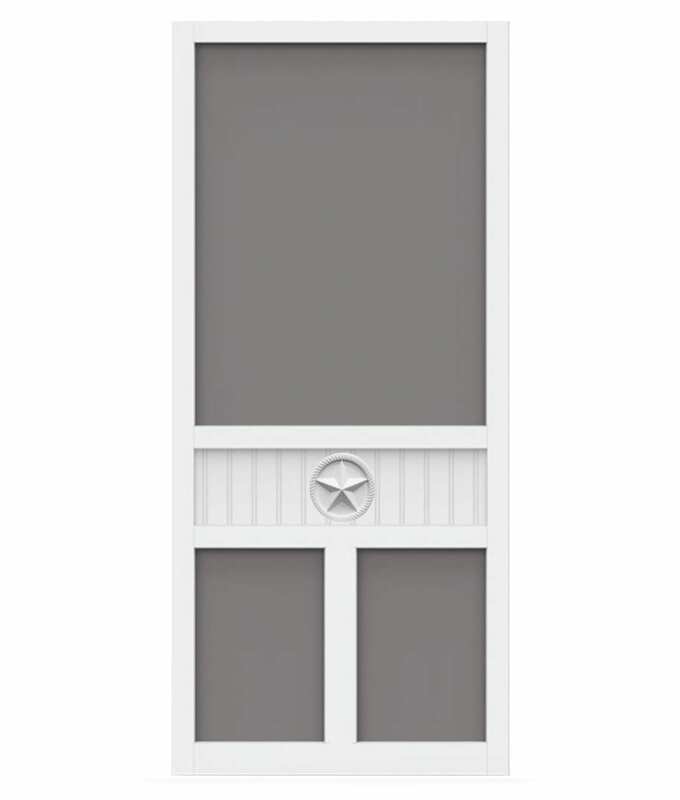 Our wood screen doors are durable,?ready to paint and?easy to re-screen. 1. Choose your Medallion Door ? Wood or Vinyl. 2. Choose from 25 Special Order Medallion Options to Suit your Home.